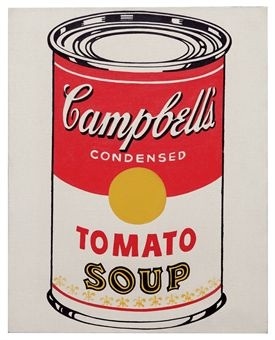 Step away from the can of tomato soup! THIS is the grown up version of cream of tomato soup! But have no fear, the grilled cheese sandwich is the still perfect pairing for the soup. This chunky fresh tomato soup takes advantage of the gorgeous tomatoes ready to harvest in the garden and of the abundant fresh basil. Its texture is thick, satisfying and very tomato-ey. Cutting the grilled cheese sandwich into crouton-sized pieces on top is a fun twist that had my 18 year old exclaiming to always make it this way from now on! An American classic. Method: Sauté onions in butter until transparent and soft. Add garlic and sauté a minute more. Stir in tomatoes, broth and seasonings and cook through, about 1/2 hour on medium heat to start, then to a simmer. Stir in cream and heat gently for a minute more. When ready to serve, sprinkle with additional basil and croutons. Soup before addition of cream. Simply make your favorite grilled cheese sandwich, cut it up in 1 inch pieces and toss a few on top of the soup, serving the extra pieces on the side. If you are not familiar with grilled cheese sandwiches, take 2 slices of thick white bread(Texas Toast is perfect). Spread some mayonnaise and a smear of Dijon mustard (or just butter if you prefer) on each slice. Add a heaping amount of shredded gruyère-swiss cheese on one half, top with other slice of bread. Butter both slices of bread on the outside. 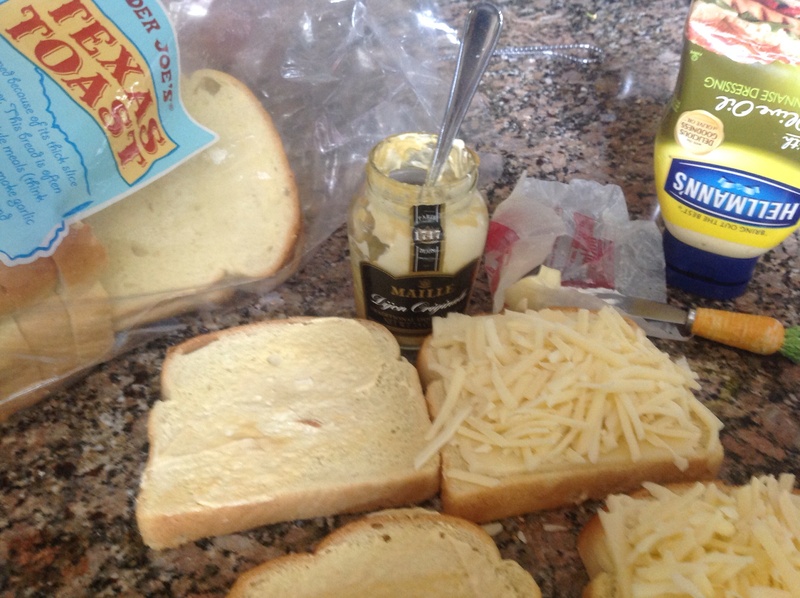 Grill until golden brown on the outside and the cheese is melted inside, in either a panini press or in a pan. If using a pan, you’ll need extra butter to coat and you will need to flip the sandwich once, to get it golden on both sides, about 2-3 minutes per side. Let cool slightly, cut in 1 each pieces and serve on top of soup. MMMmmm good! 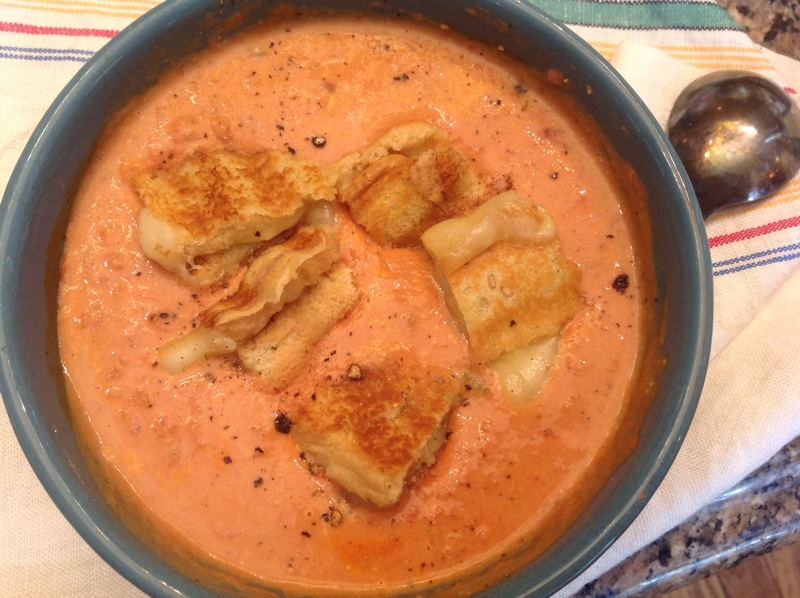 This entry was posted in Recipes and tagged chunky cream of tomato soup, Fresh tomato soup, grille cheese croutons, grilled cheese with gruyere and swiss, tomato basil bisque by Johanne Lamarche. Bookmark the permalink. i really craving over it now! Sure is! Or for a summer lunch while the tomatoes are in season. Delish anytime. Thank you for reading and commenting! This is a great recipe to use up some of those fresh tomatoes we have. I was driving along a country road today and saw a table full of tomatoes with a sign saying ‘free’ – obviously, some kind soul had just a few too many. They should have handed out your recipe with them! This is a wonderful story Hilda! I hope you took advantage of the bounty and will make something deliciious with your tomatoes! I have a recipe for peppers stuffed with tomatoes which you might enjoy as well. I’m smiling imagining a bumper sticker on your car saying: “I brake for tomatoes! ” Your comment made my day. Thank you! Always good to have the can version! 🙂 Did you know there are lots of recipes for baking with Campbell’s Cream of Tomato concentrate? On the company web site! Thanks for reading! My late mother-in-law also canned her own tomato soup concentrate and it was a labor of love but oh so good when winter set in! Would you share the recipe by any chance? I never got it from her and it has been lost as no one else made it. Soooo good with fresh tomatoes. I printed the recipe for the concentrate and will try it Judi! Thanks so much for sharing. Of course I just got lost on your beautiful and well executed blog! Wow. After reading your “about” section, I am so honored to have you visit my humble blog and take the time to comment! I am in awe of 600 plus posts! Whew, you have been busy! I am approaching my 100th. Blogging does take on a life of its own. Loved your blog. Thank you Nicky! I hope you enjoy the soup too!! Okay, I promise, pinky swear to try this…I am sooooo guilty of grabbing the tomato soup can, it is my favorite lunch in the cooler months~I will admit that after ordering good tomato soups and bisque in restaurants, it is getting harder to swallow 🙂 Thanks Johanne! Homegrown tomatoes are the best, Angie, and friends who have too many tomatoes are a close second! If you have a glut of tomatoes check out the tomato-stuffed roasted peppers recipe also. Another favorite which uses a lot of tomatoes. Thanks so much for reading! I enjoy your blog very much! Good morning, Johanne! I got up early to get Ramon off to work, so I have a few precious moments to do something enjoyable. Thought I’d pop in and say hello! With a recipe this easy, seriously…..why on earth would anyone want to eat canned soup??!?! Actually, I can’t eat canned. My tastes have definitely matured since those lean college years! 🙂 I make all soups from scratch, and it’s wonderful plus I can control the amount of sodium, etc. This is a recipe I’ll pin to my recipe board for sure. The grilled cheese croutons just make it that much better!!! This weekend is perfect for a nice soup. We are finally getting some fall-like weather with highs in the 70s and nights in the 50s. My kind of weather! Have a beautiful weekend, and I’ll “see” you when I return to blogging! I just needed a break so that I can focus on some other things. Take care! Hearing from you brightened my day Alycia! Glad to hear your temps are a pleasant 70 s high while ours are in the 90s and humid! Football weather for your team!!! 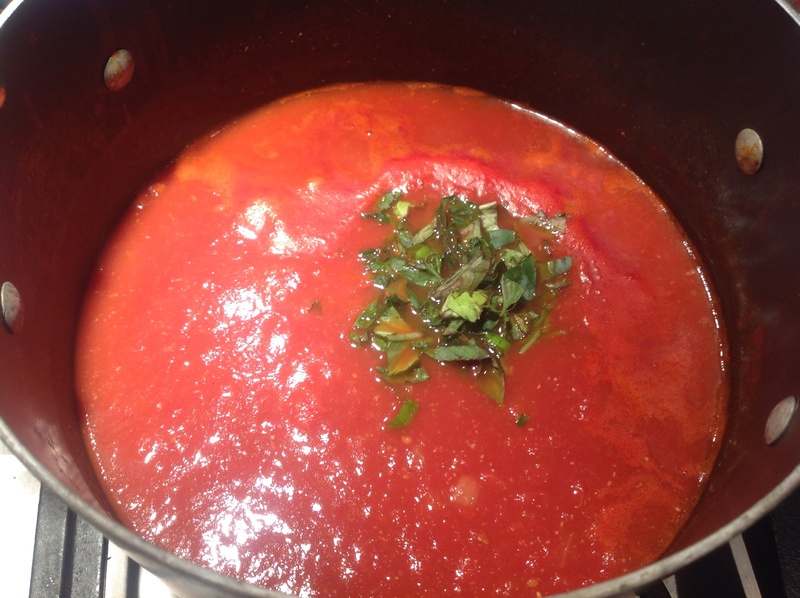 Nothing like homemade fresh tomato soup or any soup. Thanks for visiting and reading! Hope all is well. Oh what memories that Soup Can brings back to me! And the soup is just divine sounding. 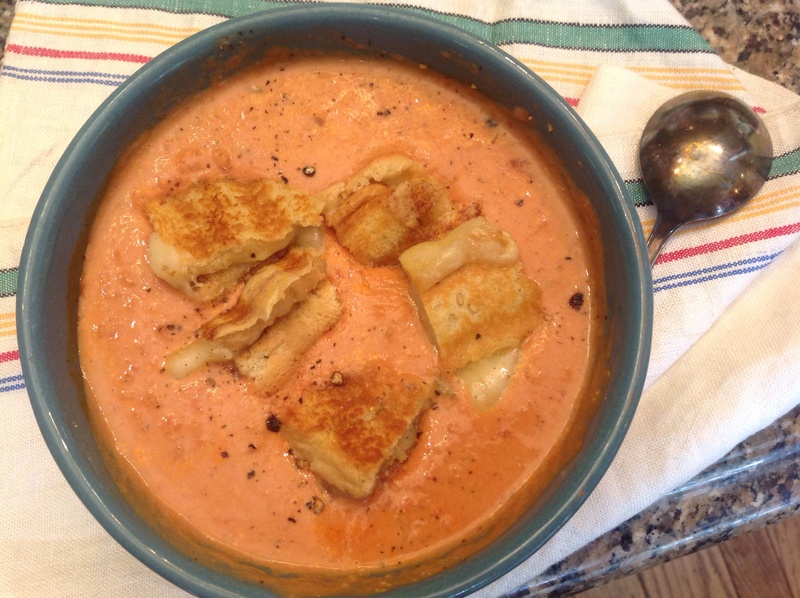 I love tomato soup & grilled cheese sandwiches…the ultimate comfort food…your version is wonderful and I shall make it the first crispy fall day we have. I hope you like it Teresa! It is an honor to have you make one of my recipes! We are traveling in Asheville NC at present and I thought of you at dinner. We had white asparagus in a tapas restaurant, Curate. Very different preparation but it was delicious nonetheless. Asheville is a very foodie town not unlike Nashville in feeling, minus the music scene! Very big farm to table emphasis also. We are loving it!